Toast racks add elegance to tea time. A staple in every well furnished Victorian home, an antique brass letters, or toast rack is still much sought after by antique collectors everywhere. These were made in a variety of designs and styles. An antique brass toast rack was used to hold the toast at the table. It usually consisted of a tray to catch crumbs, four small feet and scroll work to hold the toast pieces separately. Usually a toast rack was designed to hold four to six pieces of toast, although some held two and others as many as six or eight. Toast racks are most often used for holding mail these days. Because of the separate areas they allow you to easily file your letters, bills, and other items in an elegant way. 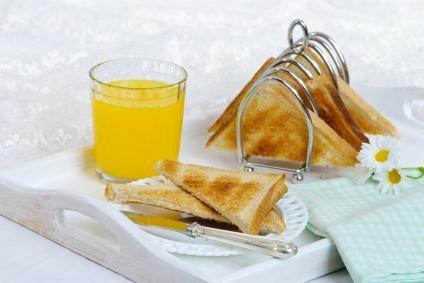 The earliest known examples of toast racks date to the late 1700s. These were simple servers made by soldering wires to a solid base. A ring at the top was used as a handle when the rack was being carried or passed. Over the years a variety of additions were made. Toast racks became more embellished and some had butter dishes, areas for jam jars to be held, or even built in egg cups. Some antique brass letters or toast racks were made with figures on them like this gondolier. Others were simpler, and meant to be set on a tray. Silver, silver plate or china were the most popular materials for toast racks, although there are brass toast racks that can be found on occasion. Often you will find silver plated brass as well. For years toast racks collected dust in the dark recesses of attics, cabinets, and thrift shops. They were outdated and unwanted. After all, toast could be easily stacked on a plate. In the past decade people have discovered the variety and beauty of the toast rack. Values have skyrocketed as collectors scramble to get the most unusual, the most elaborate, and the most beautiful toast racks out there. Where you could have bought almost any toast rack for ten dollars or less a decade ago now you can expect to pay fifty to one hundred dollars for a small, plain toast rack and many times that for an unusual design. What are these people doing with these antique brass toast racks? Using them to hold toast. Cream teas, high teas, and tea parties are more popular than ever before. Serving toast or other foods in the toast racks adds a bit of charm and Victorian elegance to the table. Using them as letter holders. Because of all the compartments toast racks make great letter holders. You can separate letters by business, casual, and bills, as well as more categories if the toast rack is large enough. Separate stationary and craft papers. Whether you love beautiful stationary or you scrapbook, toast racks organize those special papers beautifully. They are easy to get to and easy to see. Toast racks can be used to hold napkins at the table. They can be used to hold small files. They can be used to hold pictures of family and friends. They can hold books or magazines you are currently reading. Place hand towels in them in the bathroom. There are limitless ways to use these lovely antiques in your decorating. eBay is always a great choice when antique hunting. Antique toast racks are a wonderful find and will add elegance to almost any room you put them in.